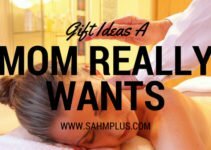 It is possible to shop for products keeping health and toxins in mind for the entire family and still be budget friendly. How Brandless makes healthier more affordable. 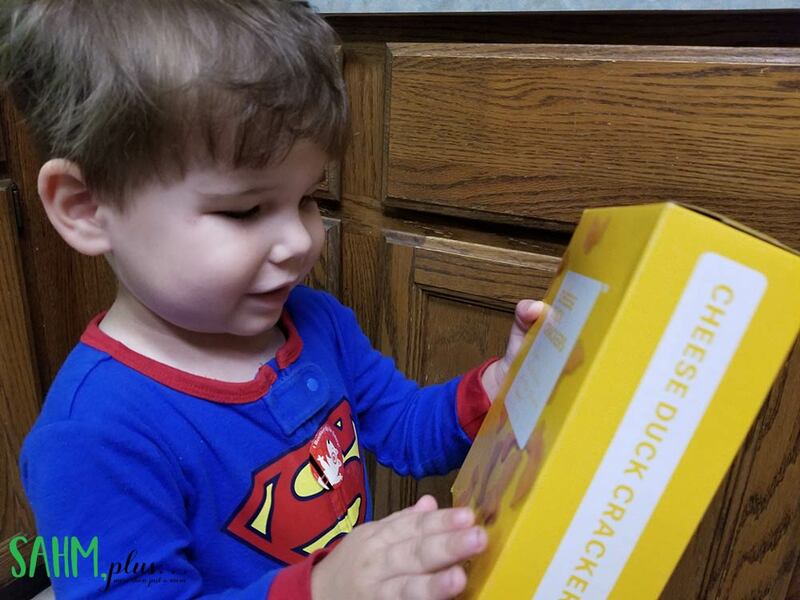 A MomsMeet sponsored post about Brandless and Organic Cheese Duck Crackers non-GMO snacks. We’re a family of snackers, and honestly, the easier the better. Unfortunately, easy snacking usually means grabbing pre-packaged foods we purchase at the grocery store. 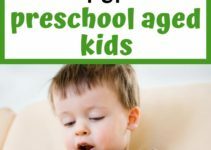 And with kids who sometimes seem to snack more than they eat regular food (ah hem …2 year old), the grocery bill can get pretty costly. Especially when you try to combat the not-so-healthy snacking by offering more organic foods and non-GMO snacks. As much as I love feeding our family organic, it’s not always the most affordable. As with everything, I have to find a balance in order for us to live comfortably and pay for the occasional costly medical bills for myself, put the kids in soccer, and let them have some splurges. So, I admit, I go with some food choices I don’t necessarily agree with because … well … I don’t want our grocery bill to cost more than a car payment. 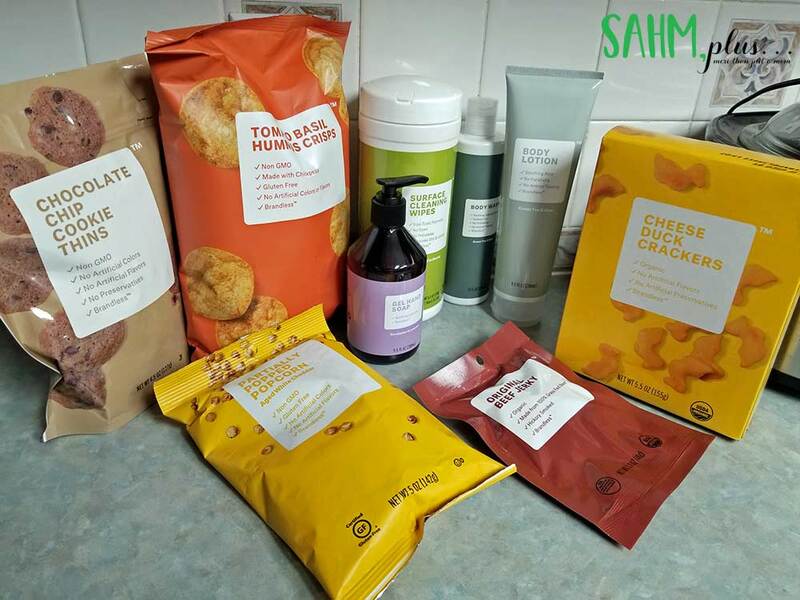 I received a fabulous kit from Brandless, in partnership with Moms Meet (momsmeet.com) in exchange for my honest opinions in this post. Compensation was also provided to facilitate this post. Now, I needed to tell you that first, because it changes almost everything about the way I can shop. And, this helps me to incorporate healthier products (and those snacks I was talking about) into our household without breaking the bank. If you stay tuned … I’m also going to share a special discount with you to make your own purchases at Brandless! Part of my kit included this fabulous box of Organic Cheese Duck Crackers. A 5.5 oz box of organic cheese crackers. Three dollars. I mean, this is a game changer, in my opinion because that’s almost big brand non-organic prices. And, I don’t have to go to the store or pay a markup to have these delivered through my grocery delivery service. 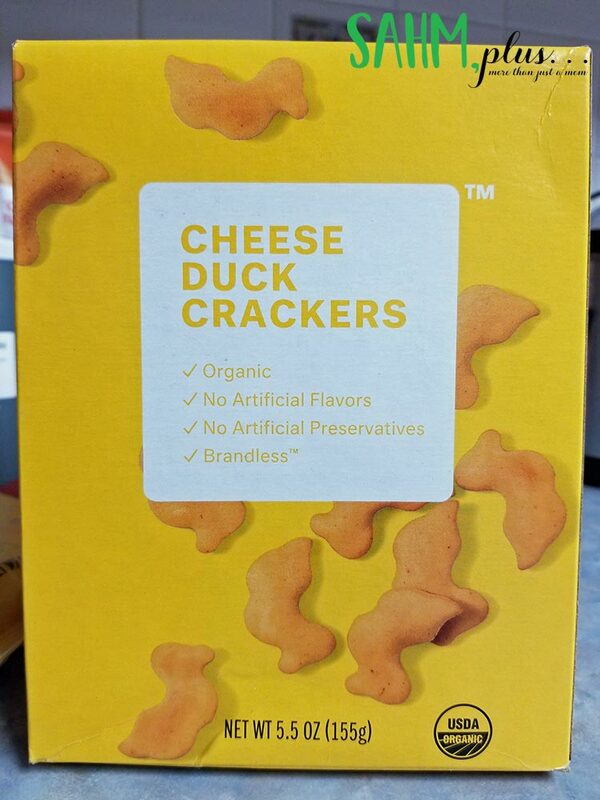 What I love about the Brandless Organic Cheese Duck Crackers is that they’re non-GMO (a label I prefer to see on our food packaging), certified USDA organic, and contains no artificial flavors or preservatives. 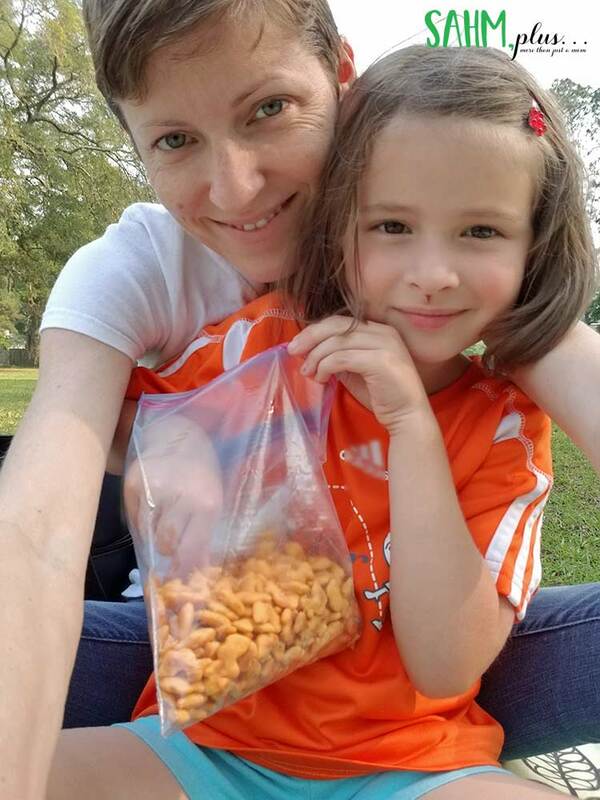 So, I’m feeding my kids a healthier product I feel better about without the feelings of guilt that come with the usually higher cost to do so. Plus, we can share the healthy goodness with our friends … because what little kid doesn’t want to share (or have food shared with them)? On a soccer practice night, dinner is put off for later. We start with B’s practice, leaving him bored and hungry while big sis plays. 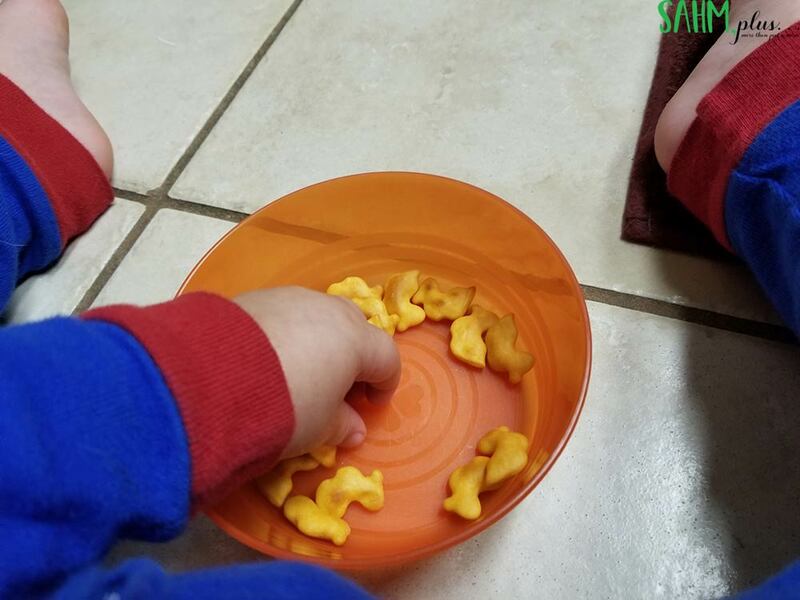 Many of these nights, he loads up on snacks while he waits. So, knowing he’s loading up on non-GMO snacks makes me feel better. The awesome part is that, while these didn’t cost much more than a national brand, he mistook them for that brand. Even hubby and big sis couldn’t really tell the difference … the only thing that gave them away was their shape. So, I can feel good about feeding my family a better-for-you product that they actually liked! This is what I call balance. 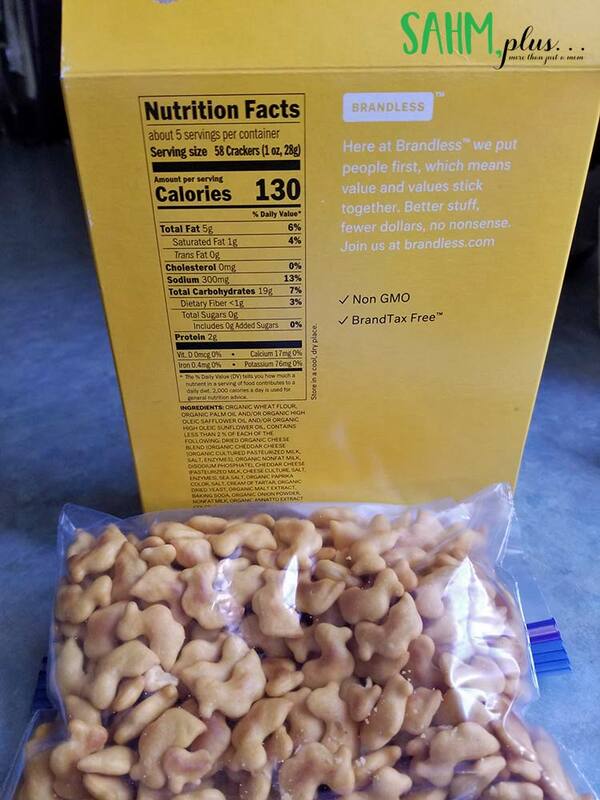 TIP: If your kids don’t eat these non-GMO snacks in the first day (like mine tried to do), store the remainder of the contents in a cool dry place, closed tightly in a sealed bag or container. Okay, so I know you want to hear more about Brandless. Brandless is exactly that. And because they’re not associated with a higher cost national brand, you’re not paying those hidden fees … or BrandTax™. So, Brandless is able to sell their products for $3 and it’s all sorts of better-for-you products. 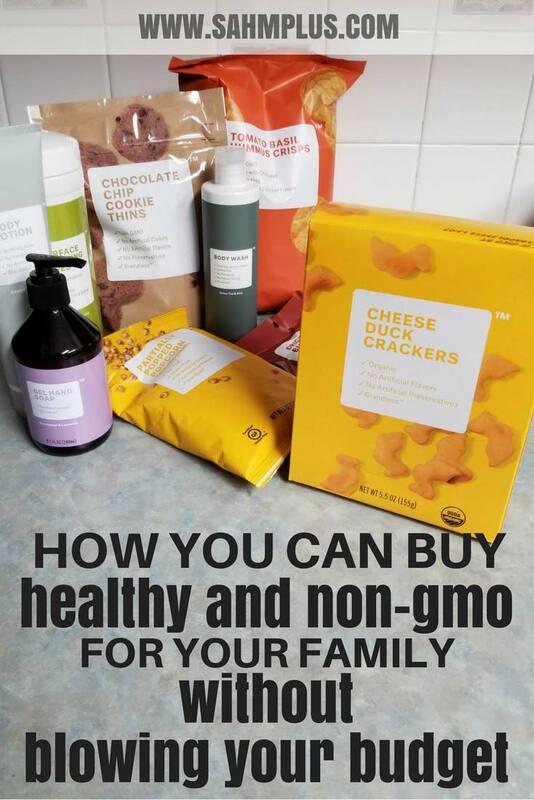 By using Brandless, you’re able to get things like non-toxic cleaners, clean beauty products, and yummy organic snacks (like the Organic Cheese Duck Crackers) without blowing your budget. I was just in a conversation with a friend who was disappointed an app had “sold out” and was not rating known toxic products any longer. If things like this concern you (like they do me), you’ll love to hear that Brandless bans many harmful ingredients from their beauty products. Their food is all non-GMO. Why? Because they care about people! 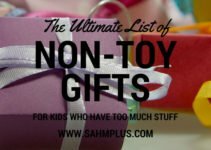 I have absolutely loved the variety of items I can get with fewer of the bad stuff in them. At the same time, I’m not blowing my budget buying healthier stuff at a higher price than I’m typically already paying anyway. Here’s where there needs to be an improvement, in my opinion. When I love a cleaning product enough to buy it religiously, I prefer not to purchase another soap pump bottle. I like to purchase larger refill packaging to pour into my existing pump or spray bottle. This is often even more cost effective and saves me from having to make purchases more frequently. At this time, Brandless doesn’t offer that. So, when our hand or dish soap runs out, I have to buy another small soap to replace it. This, to me, is where I’d have a hangup. While buying these items costs about the same as I would pay for national brands (that might not be as healthy) in the store, I would still like the ability to buy refill packs to reduce waste and help save more money. While $36 a year isn’t much, it still factors into the cost of every item, though it takes care of any shipping costs if you don’t reach the $39+ order requirement for free shipping. I’m on the fence about my feelings on the annual membership cost. I feel as though you could easily accrue a $39 order and not have to worry about shipping, so why would you need the membership? However, if you need a quick stock up and don’t qualify for free shipping, maybe you would need this. There is a nice upside to the annual membership, still. When you join, Brandless will donate 10 meals to Feeding America (on your behalf), and then 2 more every time you place another order. YES, I want a Brandless Membership at 33% off for the first year! I love this idea! And I agree with you… I like to buy the large container of soap and refil the pump I already have. Looks like a great box though! 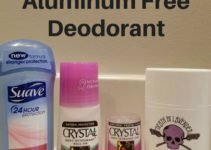 I have been hearing a lot of information about this Brandless company. I have not tried it yet but I love seeing that there are healthy snack items that we could add to our shopping list. Need to give it a try! I’ll be checking into this for snacks for sure. Agree on the soap thing, I hate buying new ones each time but hard to find decent refill options. That’s an interesting business model. I’d want to try the products first before signing up for a membership though. Wish there was a way to buy them local and try them out! You can still purchase without a membership, but you have to reach their threshold for free shipping. The membership saves you from worrying about that threshold is all. What a great idea! We don’t need name brand snacks. Just healthier options at a great price, and it sounds like Brandless meets those needs. The presentation of snacks looks amazing.Kids must love because of having lots of beautiful colors.This snacks is not only beautiful but also nutritious for all.